Newly installed Guatemalan President Otto Perez Molina has called for talks about a regional drug strategy, including drug decriminalization. 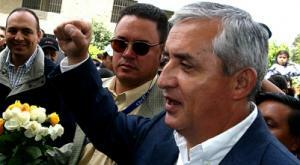 Perez Molina made the remarks in an interview with the Mexican TV network Televisa, Miami’s El Nuevo Herald reported. Perez Molina’s remarks on decriminalization come as something of a surprise. He said nothing like that during his election campaign, in which he vowed to use “an iron fist” against encroaching Mexican cartels. In one of his first acts in office, he emulated Calderon by calling out the armed forces to fight the cartels.